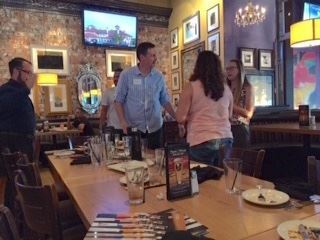 GOOD Network hosts Social/Networking events that provides a more relaxed and informal opportunity to get together with your GOOD colleagues. These social activities will be listed in the EVENTS page when they are planned. 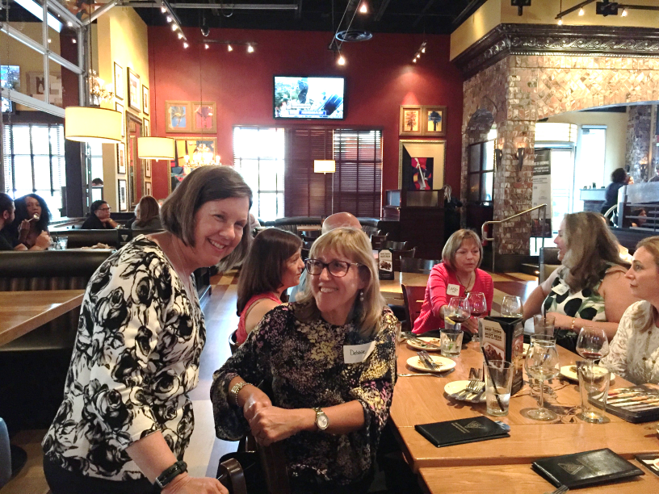 Some of our networking events are also opportunities to volunteer with other non-profits. See the GOOD Doing Good page for more information on volunteering. Examples of some of our past events have included a networking after work socials at BJs Brewhouse near Millenia Mall, Saturday lunch on the Rivership Romance in Sanford, a night of laughter at the SAK Comedy Lab in downtown Orlando, and Saturday lunch at Dexter’s in Winter Park along with a trip to the Orlando Museum of Art. We enjoy supporting various Central Florida businesses and attractions, and encourage you to contact us with your ideas for future events. 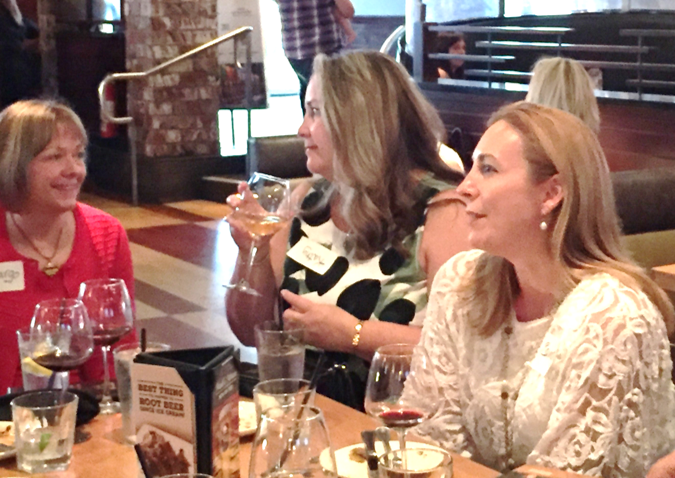 The March 2018 Wine Tasting Social and Class was a big hit with GOOD Members and guests who attended. It will become an annual event. 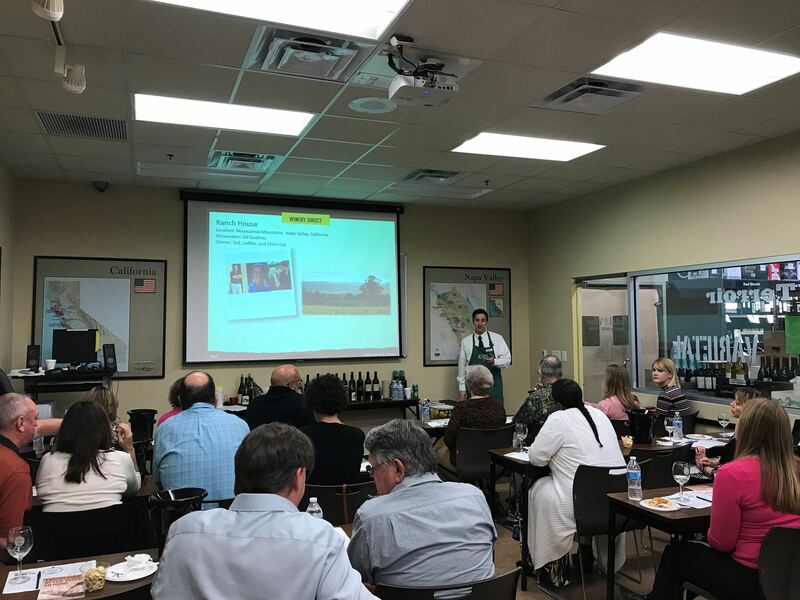 Here many of us are -- giving rapt attention to David, the sommelier, who educated us on wine regions accompanied by generous tastings from 8 vineyards! 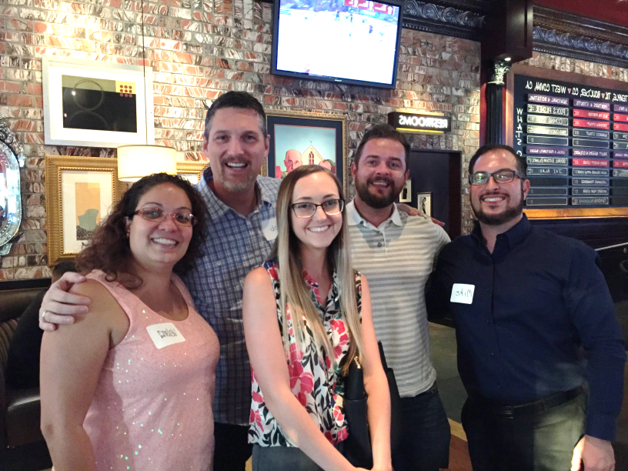 Photos below: GOOD Members and guests enjoying the May 2017 Social!